Hello, there! It’s JaMajka here – Marta Turska – Grochocka. 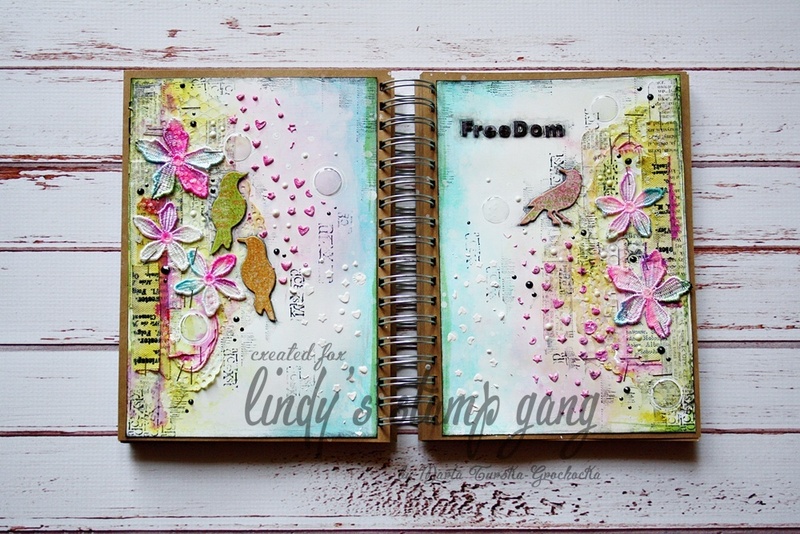 Today I would like to present my art journal spread titled “Freedom”. 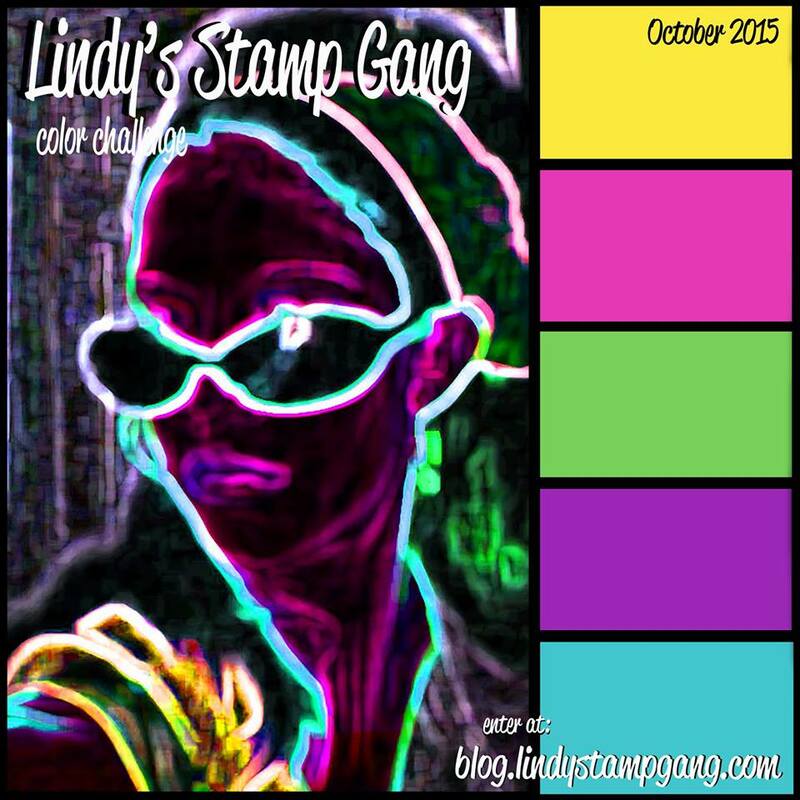 I used gorgeous Drop Dead Diva Mega Set and I was inspired by this super cool color palette. I used blank white cardstock as a background and then I created many layers using paper doilies, printed canvas, washi tape, old book’s pages and guipure flowers. , which I found in Drop Dead Diva Embossing Powder Set. I used Drop Dead Diva Magicals to add color and shine to guipure flowers. 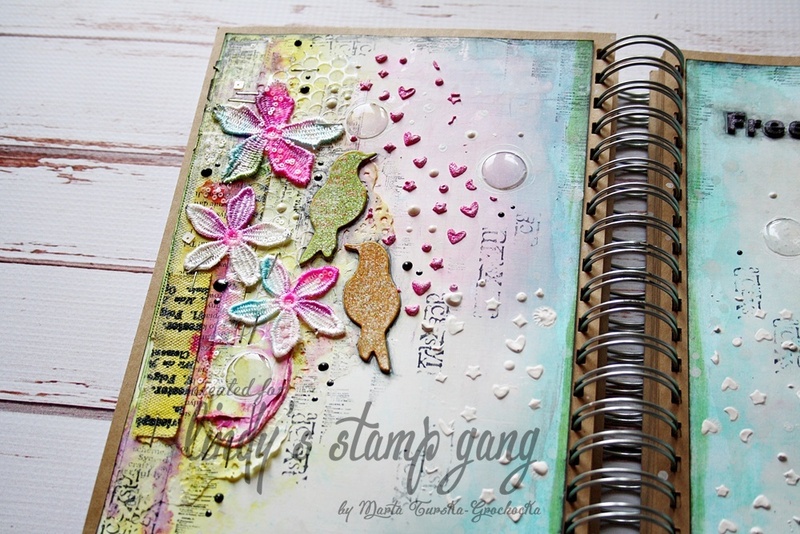 – it makes my art journal pages rich and full of interesting accents. You can see it all in my video tutorial. I hope you liked my video! 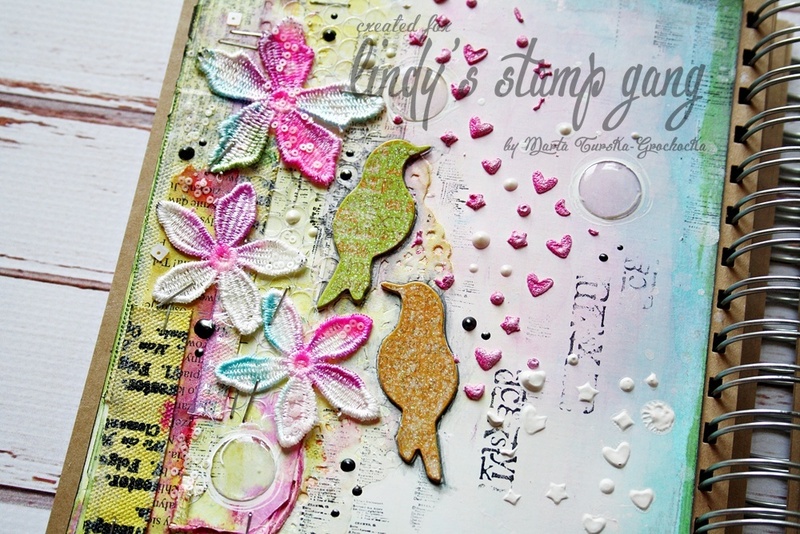 What a colorful fun project!